Feng Shui symbolism is quite powerful and helps in countering defects which cannot be corrected through structural changes; however, the symbolism should adhere to the requirements laid-down as per tenets of Feng Shui. According to Feng Shui, if there is an imbalance of Chi in the body, one can feel unwell or acquire diseases. Similarly, if an imbalance of Chi is present in the business premises, it may not be very profitable. 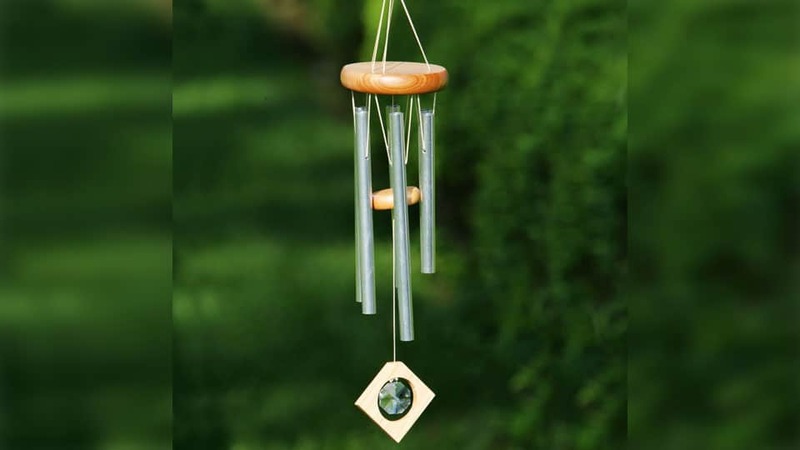 Feng Shui wind chimes, like many other Feng Shui remedies, serve to enhance the flow of Chi and harness it to your benefit. Adapting basic tenets of Feng Shui, one can overcome the energy block in a building and enhance the comfort level of the occupants. Creating a home harmonious to exude positivity and activate good relationship is something which Feng Shui facilitates when implemented properly. The sector which represents growth, relationship, family support is the East as per Feng Shui compass direction analysis. Tenets of Feng Shui range from simple DOs and DON’Ts, rearranging furniture to renovation, design, construction, identifying suitable property, plot to interiors and décor. Implementing subtle changes and designing the space on the tenets of Vastu and Feng Shui, orienting the home to the best direction, proper placement of rooms, doors and windows, ideal colours, floor and wall décor and positioning water features will increase your ability to weather the ‘storms of life’ with minimum impact. Feng Shui interior design attempts to direct, retain, and channel this energy in a way that is most beneficial to those using the room. This can be done by the placement of objects at different compass locations or by using furniture made of specific types of material. Although overall harmony is what one would desire, Feng Shui can be used for specific aspirations in our daily life. Be it relationship, career, happiness or wealth, each of these can be empowered by adapting appropriate Feng Shui designs and symbolisms. In Feng Shui, we designate certain areas of the home to our money concerns and enhancing them will certainly help us hold onto it and even help us bring about prosperity into our lives. Placing greenery or even Paintings which are predominantly green in colour at the East and South-East sectors of the living room and areas close to the entrance activate the fortunes. Choose the décor, furniture and colours according to what they symbolise and represent, as different colours represent different elements and have different symbolisms. Having a décor in green, motifs depicting wood, furnishings in green or live plants at the East sector of the family, foyer and dining area empowers healthy and strong family relationship luck. Crystals and natural Gem Tree signifies growth and wealth luck. It assists wealth flow and to acquire new assets and maintain financial balance. Bamboo or pine trees in the East of the garden or as indoor potted plants at the East of the family area signify good health and longevity to the occupants.